The advocacy group Safe Kids Worldwide last month issued its tips for how to keep teens safe behind the wheel, and has continued its work in educating elementary school children about how to stay safe near railroad tracks. Each year more than 1,000 people are injured in incidents involving trains in the United States. These incidents involved either trains and pedestrians or trains and motor vehicle occupants. Because of their enormous size, locomotives and train crashes can have devastating effects on cars and trucks. 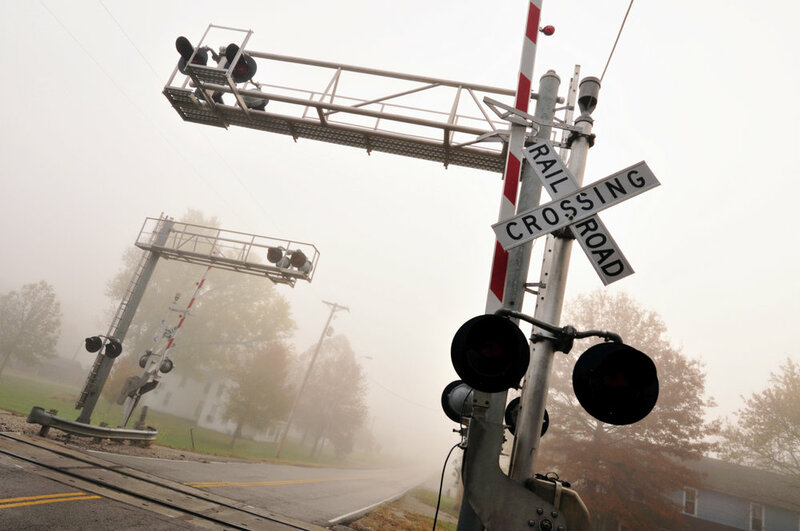 Many motorists simply assume a train won’t be approaching a crossing if the motorist doesn’t see gates or warning lights. However, many railroad crossings are unguarded and protected only by a small "cross buck" sign. Even protected crossings may have malfunctioning or defective lights and gates. Because of the size of a freight train, trains are moving faster and are closer than you think. Trains are also quieter than ever, so lower your radio and listen closely as you approach a crossing. Watch for flashing lights, and don’t rely on hearing a horn; operators don’t always use their horn when approaching an intersection. Expect a train at every crossing, and only cross at marked railroad crossings. When a train is coming, stand at least 10 giant steps away from the tracks. If you’re on a bike, dismount and walk it across the tracks. Although it’s a common scene in action movies, don’t try to beat a train on foot or drive around lowered gates. Walking or playing on or near railroad tracks is dangerous. Railroad crossings are incredibly dangerous and all railroad companies must take more steps to protect children, pedestrians and motorists. Railroad crossings should be unobstructed (free from buildings, vegetation and other trains that could block someone’s view of an approaching train), should have appropriate warning devices (such as flashing lights, gates, bells, and well-marked stop signs), and train crews must blow the train whistle at every crossing. Railroad corporations must provide safe crossings for the public. Bob Langdon is a founding partner of Langdon & Emison. Bob devotes his practice to representing clients nationwide in cases where defective vehicles and consumer products have caused serious injury or death. Recognized as one of the nation’s top trial attorneys, Bob has successfully tried cases from coast-to-coast on behalf of injured people and their families.